CURIOUS LITTLE BIRD: Purple Monster Eater!! One of my (soon to be regular) customers on Etsy ordered a monster for me during my Christmas rush Etsy 'vacation' last week. She had bought one of the few last Wookies I was ever going to make (in the fur colour - don't worry, I'll make more!) 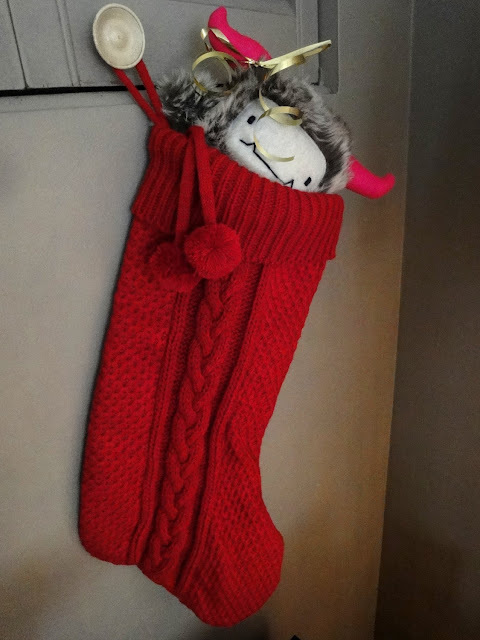 and had it in the stocking ready for Christmas. This is Wooky with customized hot pink horns! Her little sister saw this monster and loved it so much she wanted one for herself. So my customer asked me if I could make one for her, but a customized one? I agreed (who can say no to pleasing someone? ), and this is what I made! I have to say that taking this fur colour, adding the pattern with the arms, and yellow curly horns really makes this an awesome monster! I hope her little sister loves it! 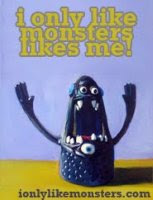 If you were to ask for a custom monster, what features would you want it, and what colours would it be?